When it comes to your commercial plumbing needs, there isn’t a more dependable choice than Randall’s Plumbing. We understand that problems that arise need to be resolved as soon as possible so that production can resume and business can carry on. We offer a long list of commercial plumbing services to assist you in owning and operating a successful business. Here are just some of the commercial plumbing services that we offer our valued customers. Having workable restrooms is essential in a commercial settings. Anytime you are facing toilet problems, you can count on the team of skilled plumbers at Randall’s Plumbing to repair any toilet issues you may be having. We also provide toilet tune ups to help keep your toilets working properly. By replacing parts that are starting to show signs of wear, you can avoid unnecessary emergency toilet repairs in the future. 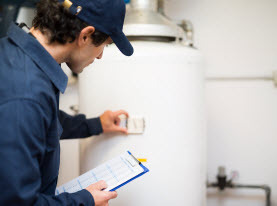 A water heater that is functioning is imperative to your business. 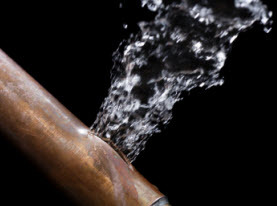 Whether you are cooking, cleaning or heating, any leaks in your water heater can cause major problems. The experts at Randall’s Plumbing are trained to work with a variety of different types of water heaters including: tankless, high capacity and all hybrid models. 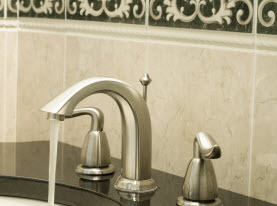 Randall’s Plumbing offers quality, commercial plumbing fixture installations with our extensive training and experience. We know that each commercial business is unique and therefore, has different needs. Whether you are in the process of starting to build your business and need help installing all the fixtures in your new building, or have a fixture that is malfunctioning, our plumbing team can handle it. If you have the need for a sump pump in your building, keeping it working properly will ensure it is ready to do its job in the case of excessive water fall. Without a working sump pump, you could end up with extensive water damage. We can solve any problems you may have with a broken sump pump whether you are looking at repairs or replacement. To avoid unnecessary and expensive repairs to your plumbing system, the pros at Randall’s Plumbing offers commercial plumbing inspections. This gives us the ability to catch any potential problems before they become large and costly. Trying to keep your business running is a big job. Let the experts at Randall’s Plumbing handle all your plumbing needs so you can focus on other areas that need your attention. We will work to ensure your commercial plumbing system is working properly and save you from the headache water damage in your business. Call us today!